Russian annexation of Crimea and the subsequent air campaign over Syria took the world by surprise. The capabilities and efficiency of Moscow’s armed forces during both operations signalled to the world that Russia was back in business as a significant military actor on the international stage. In this cutting-edge study, Bettina Renz provides an in-depth and comprehensive analysis of Russia’s military revival under Putin’s leadership. Whilst the West must adjust to the reality of a modernised and increasingly powerful Russian military, she argues that the renaissance of Russian military might and its implications for the balance of global power can only be fully understood within a wider historical context. Assessing developments in Russian Great Power thinking, military capabilities, Russian strategic thought and views on the use of force throughout the post-Soviet era, the book shows that, rather than signifying a sudden Russian military resurgence, recent developments are consistent with longstanding trends in Russian military strategy and foreign policy. "Putin's determination to restore Russian military prowess and his use of force cannot be understood just as a challenge to Western states. 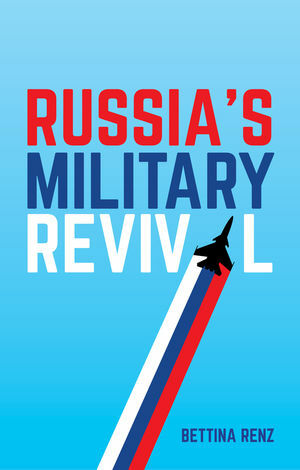 Renz's multi-layered scholarly analysis provides the strategic context to soberly assess the changing role and prospects for Russia’s new military forces." Roy Allison, St. Antony's College, Oxford. Dmitri Trenin, Carnegie Moscow Center. "[A] well-written and cogently argued book."